Cyril J. Weir is Professor and Powdrill Chair in English Language Acquisition in CRELLA at the University of Bedfordshire and a Visiting Professor at the University of Reading and Guest Professor at Shanghai Jiaotong University, PRC. Barry O’Sullivan is Head of Assessment Research and Development, the British Council, London, and Honorary Professor of Applied Linguistics, the University of Roehampton, and Visiting Professor of Language Assessment, the University of Reading. This book tells the story of the British Council’s seventy-five year involvement in the field of English language testing. The first section of the book explores the role of the British Council in spreading British influence around the world through the export of British English language examinations and British expertise in language testing. Founded in 1934, the organisation formally entered the world of English language testing with the signing of an agreement with the University of Cambridge Local Examination Syndicate (UCLES) in 1941. This agreement, which was to last until 1993, saw the British Council provide substantial English as a Foreign Language (EFL) expertise and technical and financial assistance to help UCLES develop their suite of English language tests. Perhaps the high points of this phase were the British Council inspired Cambridge Diploma of English Studies introduced in the 1940s and the central role played by the British Council in the conceptualisation and development of the highly innovative English Language Testing Service (ELTS) in the 1970s, the precursor to the present day International English Language Testing System (IELTS). British Council support for the development of indigenous national English language tests around the world over the last thirty years further enhanced the promotion of English and the creation of soft power for Britain. In the early 1990s the focus of the British Council changed from test development to delivery of British examinations through its global network. However, by the early years of the 21st century, the organisation was actively considering a return to test development, a strategy that was realised with the founding of the Assessment Research Group in early 2012. This was followed later that year by the introduction of the Aptis English language testing service; the first major test developed in-house for over thirty years. As well as setting the stage for the re-emergence of professional expertise in language testing within the organisation, these initiatives have resulted in a growing strategic influence for the organisation on assessment in English language education. This influence derives from a commitment to test localisation, the development and provision of flexible, accessible and affordable tests and an efficient delivery, marking and reporting system underpinned by an innovative socio-cognitive approach to language testing. This final period can be seen as a clear return by the British Council to using language testing as a tool for enhancing soft power for Britain: a return to the original raison d’etre of the organisation. This book tells the story of the British Council’s seventy-five year involvement in the field of English language testing. The first section of the book explores the role of the British Council in spreading British influence around the world through the export of British English language examinations and British expertise in language testing. Founded in 1934, the organisation formally entered the world of English language testing with the signing of an agreement with the University of Cambridge Local Examination Syndicate (UCLES) in 1941. This agreement, which was to last until 1993, saw the British Council provide substantial English as a Foreign Language (EFL) expertise and technical and financial assistance to help UCLES develop their suite of English language tests. Perhaps the high points of this phase were the British Council inspired Cambridge Diploma of English Studies introduced in the 1940s and the central role played by the British Council in the conceptualisation and development of the highly innovative English Language Testing Service (ELTS) in the 1970s, the precursor to the present day International English Language Testing System (IELTS). British Council support for the development of indigenous national English language tests around the world over the last thirty years further enhanced the promotion of English and the creation of soft power for Britain. In the early 1990s the focus of the British Council changed from test development to delivery of British examinations through its global network. However, by the early years of the 21st century, the organisation was actively considering a return to test development, a strategy that was realised with the founding of the Assessment Research Group in early 2012. This was followed later that year by the introduction of the Aptis English language testing service; the first major test developed in-house for over thirty years. As well as setting the stage for the re-emergence of professional expertise in language testing within the organisation, these initiatives have resulted in a growing strategic influence for the organisation on assessment in English language education. This influence derives from a commitment to test localisation, the development and provision of flexible, accessible and affordable tests and an efficient delivery, marking and reporting system underpinned by an innovative socio-cognitive approach to language testing. This final period can be seen as a clear return by the British Council to using language testing as a tool for enhancing soft power for Britain: a return to the original raison d’etre of the organisation. 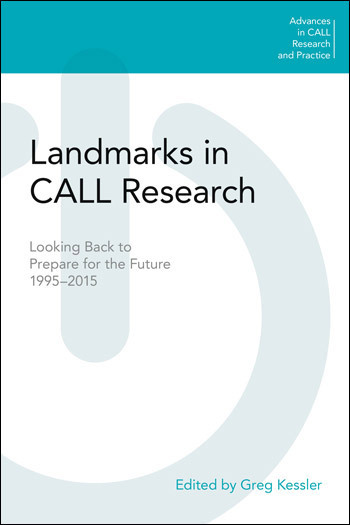 Chapter 1 examines how the British Council formed a close association with Cambridge English in the 20th century and helped it become the leading global provider of EFL examinations during the lifetime of their joint agreement 1941-1993. As well as promoting and administering Cambridge English language examinations in its centres abroad, the British Council, through its wealth of experience of ELT globally, provided professional input into the research and development of these examinations and was itself largely responsible for bringing into being one particular Cambridge English language examination, viz the Diploma in English. In exploring the development of the partnership established with Cambridge by the 1941 joint agreement, we clarify the British Council’s role in building soft power for Britain by spreading British influence around the globe through its promotion of the English language and English language examinations. Chapter 2 details how, from the 1980’s onwards, the British Council enhanced its role in building soft power for Britain through its work for the British government (ODA/DFID) and other agencies in commissioning and supporting indigenous, national, English language testing projects around the world. This was achieved by providing training in English language assessment in numerous countries overseas using British consultants; through its own teachers and lecturers and ELO’s delivering support on the ground in these countries for local and national English language test development and by bringing indigenous personnel from the assessment field to the UK for study and consultation. These projects had an immediate impact on locally developed national English examinations overseas and more widely on important areas of society such as the military, the civil service and access to, and success in, tertiary education. The research and development associated with a number of these projects contributed to the development of wider language testing theory and practice, thereby enriching the language-testing field as a whole. Chapter 3 considers the British Council’s increasing responsibility for government sponsored overseas students coming to Britain in the 1960s, which led to their direct involvement in actual language test development particularly in the important area of assessing academic English proficiency. In the 1960s the British Council staff in Spring Gardens became directly involved in a test development project that resulted in the English Proficiency Test Battery (EPTB). EPTB was intended to assess the language proficiency of those overseas students wishing to study at tertiary level in Britain. The language related study skills required for academic study in the UK and the problems overseas students had with these in the 1970s are then explored through a systematic review of the literature of the time. This review suggests why a revised test, which more closely mirrored the language activities students would need to carry out on their courses, was urgently required to replace EPTB. Chapter 4 looks at how approaches to the testing and teaching of English were to change radically in the UK in the 1970s and 1980s as a result of a burgeoning interest in the ‘communicative approach’, which focused on how language is used in real life situations. It traces the British Council’s development of the innovative English Language Testing Service (ELTS) test, which was created within this communicative paradigm. Through its significant involvement in developing ELTS, the British Council became the leading authority in this period on how to assess the English proficiency of overseas students wishing to study through the medium of English at tertiary level institutions in the UK. This marked an important adjunct to its long-term facilitative role in helping spread English examinations and more recently British approaches to language testing round the globe. Chapter 5 examines the enhanced systems that were put into place to: develop the successor of ELTS viz. IELTS; promote it; deliver it; ensure its security; guarantee the quality of its examiners and the marking, and develop a research base to underpin the argument for its evidenced-based validity. It shows how each of the three IELTS partners (Cambridge English, the British Council and IDP: IELTS Australia) shared these critical responsibilities and examines in detail the contribution each partner made to the systems in IELTS. The second part of the chapter looks at the changes that were made to the test itself in this period 1989-2016. Chapter 6 records how the 21st Century marked a return to in-house test development by the British Council and a commitment to developing its own language testing expertise through a newly created Assessment Research Group (ARG). The commitment to innovation in language test development is highlighted by the use of the socio-cognitive approach and to the operationalization of the concepts of localisation, flexibility and accessibility in the development of the Aptis test. This final chapter revisits the contribution made by the work of the British Council in English language test development and delivery to the growth in soft power of the United Kingdom. 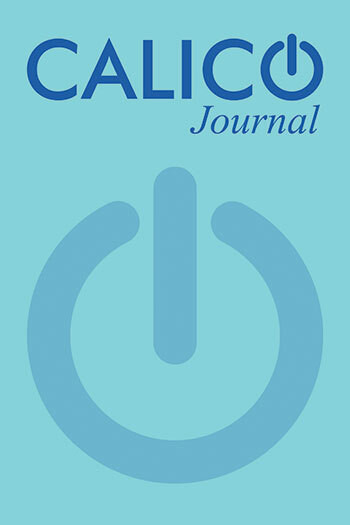 The chapter also highlights the contribution of the organisation to the field of language testing, particularly in leading the way towards new eras in test development throughout its history. This book further establishes the recent history of English language assessment as an exceptionally well-researched area in the developing field of applied linguistic historiography. Weir and O'Sullivan have marshalled a wealth of primary sources in expert fashion, and their account provides a detailed demonstration of the innovative role the British Council has played in this area in the past and is playing now again. The book provides a valuable historical account of the prominent role played by the British Council in the development of language testing in the United Kingdom over the last seventy-five years. The argument is supported by an impressive array of oral and written contributions from many of the key players that appear in the history and by a thorough review of the evidence available from governmental and institutional archives. The book should inspire other examination boards and test developers around the world to write their own histories and provides an important point of reference for this. Based on in-depth interviews, extensive document analysis and insider perspectives, this volume is a must for any language tester's professional library. 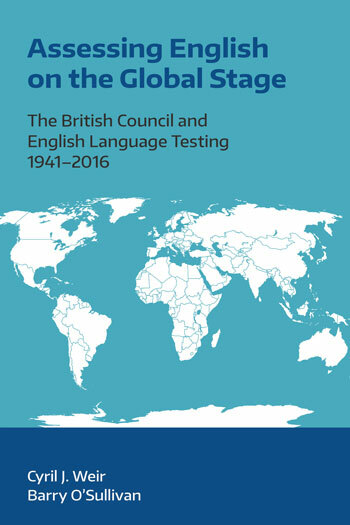 The book provides a valuable evidence-based account of the development of English language testing in the UK over the past 75 years as viewed through the lens of the varying roles the British Council played in assessing English on the global stage in that period. The reader is taken on an intriguing journey through the personnel, policies, strategies, social contexts, testing theories, and validation models that have shaped the British Council’s contribution to English language testing. Thanks to books such as this, other language testing organizations around the world can appreciate the value of learning from the past and might be inspired to innovate for the future. Language testing professionals, in the UK especially, are steeped in historiographical publications that acknowledge the leadership and achievements of our predecessors. This current volume by Weir and O’Sullivan makes a significant contribution to that tradition. It offers an insightful account of the British Council’s longstanding, global engagement in English language testing. Also the enquiry into the problems, politics, and solutions devised for creating, spreading, and maintaining the British Council testing programs offers lessons for modern-day practices. Professor Micheline Chaloub-Deville, Professor, Educational Research Methodology, University of North Carolina at Greensboro. President-Elect International Language Testing Association (ILTA).